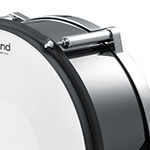 As a Roland Authorised Dealer, we custom order any Roland V-Drum accessories including all pads, cymbals clamps, and more. We also offer life time pre and post-sale support. 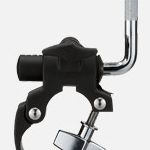 AC-MDY12 The Roland MDY12 Cymbal Arm is a flexible and sturdy cymbal mount for V Drum Cymbals, Dual-Trigger Pads or the Boss DB-88 metronome. AC-PDS10 The PDS10 is the perfect stand for the Roland handsonic percussion pads. 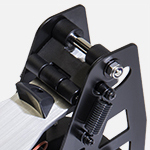 The PDS10 features a newly improved angle clamp that provides 200 degrees of tilt. AC-KD-A22 If you love the look and feel of your traditional acoustic bass drum, the Roland KD-A22 Kick Drum Converter lets you incorporate it into your V-Drums setup. AC-CY13R Experience acoustic-like ride cymbal performance with the Roland CY-13R V-Cymbal Ride, with natural swing motion and enlarged bow area for accurate 3-way triggering. AC-CY12C With optimized weight-balance and sensitivity, the CY-12C provides a natural swinging motion and accurate triggering for consistent crash performance, including choke control. AC-PD-128S-BC The top end PD-128S-BC provides the most accurate trigger response and build quality within the V-Drums range. Taken directly from the centre of the flagship TD-30KV. 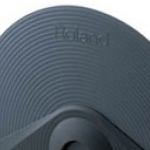 AC-PD-140DS Roland is revolutionizing electronic drums - our trigger pads are no exception. Our brand new digital trigger pads work with the TD-50 sound module to provide the ultimate in expressive drumming. Never before have electronic drums been so true-to-life. 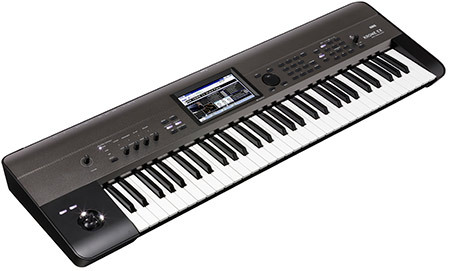 AC-CY-18DR The new Roland CY-18DR is for drummers who want to stamp personality on their playing. With acoustic-style 18" dimensions and authentic swing motion, this newly developed digital V-Cymbal is instantly familiar and highly playable. AC-PD128BC The top end PD-128-BC provides the most accurate trigger response and build quality within the V-Drums range. Taken directly from the centre of the flagship TD-30KV. 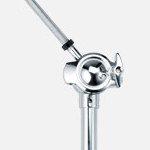 AC-MDH25 Tom mount for MDS-25 with a flexible ball clamp and tilt mechanism. AC-MDH12 Tom mount for MDS-25 with a flexible ball clamp and tilt mechanism. 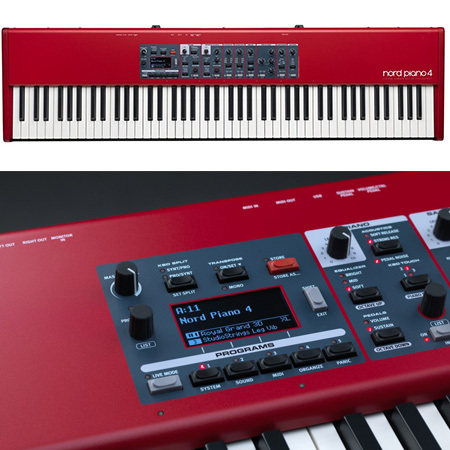 AC-KT9 Featuring innovative new technology from Roland, the KT-10 provides authentic feel and playability in a low-noise kick trigger pedal for V-Drums sound modules and other electronic percussion instruments. AC-PDX100 The Roland PDX-8 is an 8 inch Mesh Head Snare pad, with a 10 inch rim for more comfortable and quiet rim shots, separate head and rim triggering. AC-PDX6 The PDX-6 is the smallest of the Roland V-Pads. 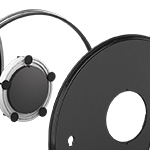 Originally designed as a tom pad for the TD-4KX, it provides dual triggering from its 6.5" mesh head and 8" rim. 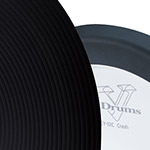 AC-PD8 This durable 8.5 inch rubber pad offers extremely accurate drum triggering and a time tested design for years of reliable use with your V-Drum kit. 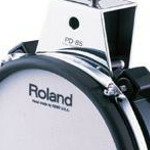 AC-PDS2 The offical Pad stand for Roland RMP3 or RMP 5. 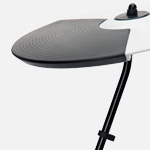 The RMP mounts straight to the PDS2 for standing or seated playing. AC-CY8 The Roland CY8 is a dual trigger cymbal for use on Roland V-Drum kits. Can be used for crash or ride with choking capability. 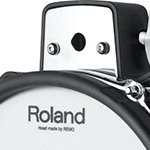 Fits Roland TD11, TD15, TD30 and older models. AC-PDX8 The Roland PDX-8 is an 8 inch Mesh Head Snare pad, with a 10 inch rim for more comfortable and quiet rim shots, separate head and rim triggering. AC-PD85Bk The Roland PD-85 black mesh-head pad is an 8 inch dual-zone V-Pad featuring Roland`s latest dual-triggering technology. AC-CY5 The Roland CY-5 cymbal pad is great for hi-hat or splash use on Roland V-Drum kits. 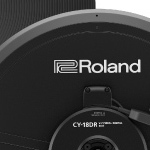 The CY5 fits almost all the Roland V-Drum kits. 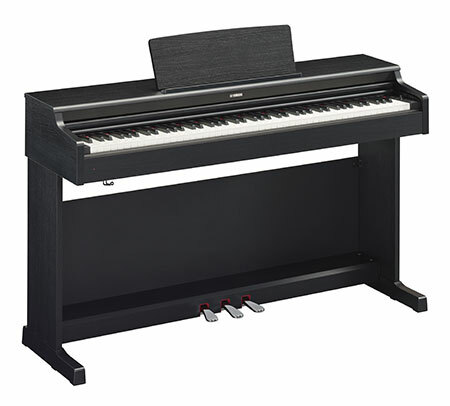 AC-VH11 The Roland VH-11 is an innovative floating hi-hat for use with the TD-20KX , TD-12, TD9 or TD9KX V Drum kits. AC-CY15R The Roland CY15R is a 15 inch cymbal for high end Roland V Drum Kits. The best deals and info at A&C Hamilton! 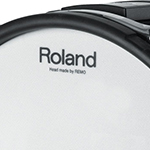 AC-KD120BK Roland KD120, 12 inch, mesh head kick drum pad has a natural and comfortable kick feel and is compatible with double bass pedals (sold separately). AC-CY14C The CY-14C V-Cymbal Crash is a 14-inch crash cymbal featuring the same dimensions and natural movement of an acoustic cymbal and 2 way natural triggering on bow and edge. 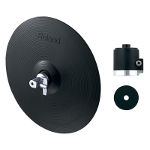 AC-MDY25 The Roland MDY-25 Cymbal Mount is a new cymbal mount for Roland Cymbal Pads, in particular for the TD30KV kit to fit the CY15C-MG, CY14C-MG and more. AC-CY14CMG The CY-14C-MG V-Cymbal Crash is a 14-inch crash cymbal featuring the same dimensions and natural movement of an acoustic cymbal and 2 way natural triggering on bow and edge. In Metallic Grey finish to match the TD30KV. 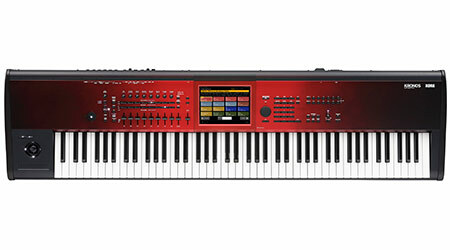 AC-CY15RMG The Roland CY15R-MG is capable of 3 way triggering depending on your V-Drum kit. The 15 Inch CY15R can be used as a ride or crash and has a superb natural feel and swing. In Metallic Grey finish. 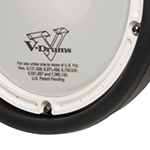 AC-KD140BC 14-inch V-Kick features an enlarged bass-drum head and solid-metal frame for a secure, natural feel. Drummers will feel the difference the moment they sink their pedal into this top-of-the-line pad. 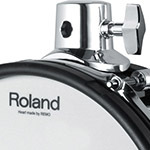 Our Drum department comes widely stocked with the latest range of Roland V-Drums, Electronic Percussion, and more. All the way from the bottom to the top; and any accessories and upgrades in between. 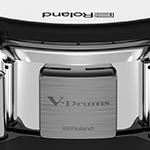 With the market for V-Drums ever increasing with artists such as Paul Kodish, formerly of Pendulum; Luke Patterson of Clean Bandit; and Roland Ambassador Craig Blundell making use of Roland's Electronic Kits, you can be sure that the quality of these products are more than up to industry and professional standards across the world. With offering the full range of Roland V-Drums, Electronic Percussion, Sampling Pads and Triggering Technology; A&C Hamilton have something suited to all levels of ability and budgets alike.